The JA-Orangery provides abundant space for growing as well as the perfect place for relaxing from the stress of today’s fast-paced world. 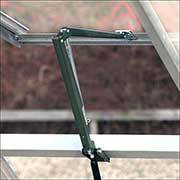 Stable doors provide additional ventilation and the low threshold provides easy access, even with a wheelbarrow. 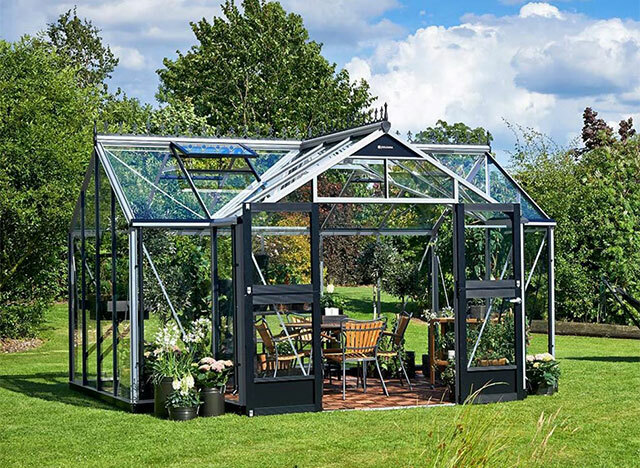 The JA-Orangery is supplied with full-length toughened glass and is available in a choice of silver aluminium / black or anthracite / black. 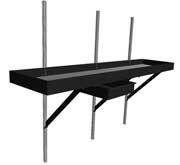 Base is Black - All JA-Series Greenhouses includes base! Number of downspouts: 6 pcs.